Third generation of a complete trials 20" bike CLEAN X2 in WC (World Cup) Edition with very light carbon parts! Integrated vertical dropout with sprung chain tensioner. Brake mounts are almost hidden in the frame, tapered headtube and fork, BB30 crankset with new CLEAN 3P cranks and splined freewheel with 135 engagement points. 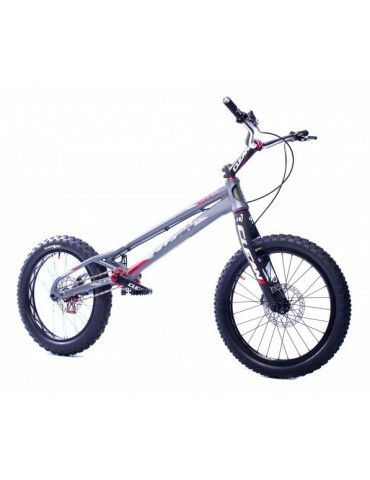 Profesional trial bike in third edition build on a great base of previous model CLEAN X2 V1 and X2 V2 and long term testing! CLEAN X2 was made and long term tested by Abel Mustieles and other team riders of CLEAN TRIALS in hard racing conditions. Frame is made with a PM brake mount which is almost hidden in the frame. Bike is assembled with trial cabon fork with Magura HS33 rim brake and DISC PM mounts. Brakes are combination of HOPE TECH 3 TRIAL ZONE caliper and lever + CLEAN RS rotors. 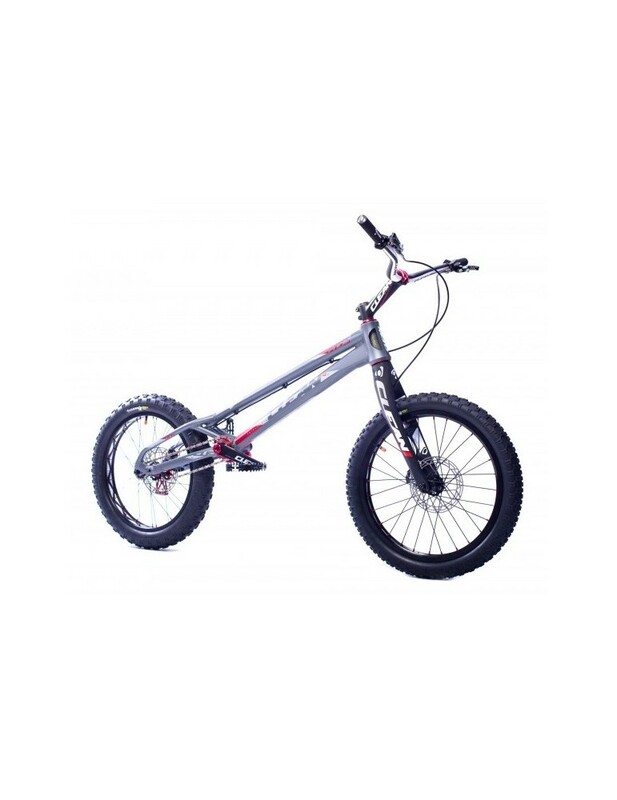 This trial bike special will increase quality of his rider without limits! If you want enjoy trial best trials magic. Enjoy new CLEAN X2 from CLEAN TRIALS 2.0! Bike is completed with TOP CLEAN and newest components! Those are 100% racing components which are very light! Grey anodised colour with combination of white/red accessories! Bike is supplied with rotor protector CLEAN V3!